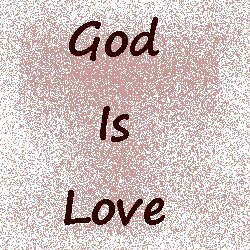 People go around saying, “God loves you” all the time. To the point that it has become an expression devoid of any real meaning and power to most of us. You’ll often hear that we can never know HOW MUCH he loves us. We all grew up singing “Jesus Loves Me… for the Bible tells me so.” John 3:16 tells us how much God loves us: enough to sacrifice His own Son to atone for the sins of the entire world, past, present, and future, so that we could all have a relationship with Him for ETERNITY. That’s a kind of love that none of us can fathom. To love others more than yourself… even more than your own (favorite) child. Yet most of us really still don’t get it. I was Lay Delegate to the North Georgia United Methodist Church Conference that year. It’s a three-day Conference with twice daily worship services… and a lot of Church business & meetings, of course. At one of the morning worship sessions, the speaker (I don’t even remember who… Pastor, Bishop, whatever) had us all bow our heads to pray. First to consider the person to our right, without speaking to them, nor knowing what their need was, offer their need up to The Lord. Being the smarty-pants I can be, I said, “God, I know you love Claudette. Being our Heavenly Father who loves her, I know you want her to have anything and everything that is good…” He gently told me to shut up and listen. If I hadn’t been sitting down, I’d have fallen down. Immediately, I was absolutely floored by how deep is God’s love for Claudette!!! She is the most important person on Earth! I knew instantly, that God would indeed move Heaven and Earth to provide for all of her needs. Feeling His overwhelming Love for her, I was astounded at how SPECIAL Claudette is! Words fall pitifully short for describing HIS LOVE, and the sense of urgency and priority attached to CARING for her and her daily needs. While I was still reeling at how special Claudette is, the speaker had us consider the person on our left, which was someone I didn’t know, offering up their needs to The Lord. As my own worse enemy, I felt unworthy. HOW could He love me as much as He just showed that he loves Claudette?!? To this day, I’m still reconciling myself with that reality. I have to be honest in saying that this love he showed me is deeper than my love for my own child! Which is the deepest love I have for anyone!! Nobody else even comes close!! We are all our own worse enemies, and beat ourselves up as unworthy of God’s Love. And that may be true by our human standards. But His ways are not our ways. And thank The Lord, HE LOVES us more than we deserve. HE LOVES US so much that anything we ask in His Name, according to His Will, He will move Heaven and Earth to Provide! Imagine what you could accomplish in your life, knowing these things, and how much God Loves You and wants to provide for your every need. Most important, this has served as a reminder to LOVE. Love everyone. Some people are hard to love, but God tells us they are His and He loves them, so even when we have hard hearts, we should share His Love for them. Love everyone as if they’re the most important person in the world. Because to God, they are. I hope that the next time you say or hear, “God loves you,” it will have a more powerful meaning for you as it does for me now.